How do one network gain the attention of the world? By doing whats ISIS does I guess. 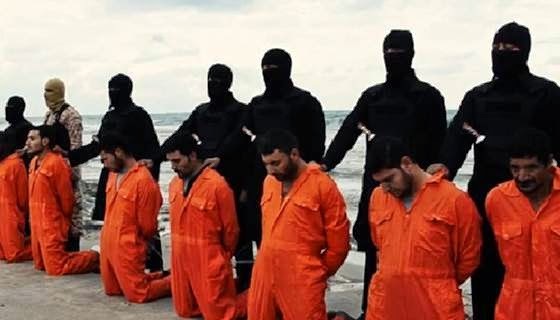 Italy warned that ISIS is at Europe’s doorstep as France and Egypt called for the United Nations Security Council to meet over the spiraling crisis in Libya. United Nations negotiators have been meeting with representatives from the internationally-backed government and the one which claimed power through force in Tripoli last summer. Libya is not only situated close to Egypt and Algeria, but is just across the Mediterranean Sea from Europe. The spiraling violence has sent floods of migrants to European shores — and ISIS has repeatedly mentioned Rome as a benchmark of its growth. ISIS has been operating in Libya for months. One group of Libyan fighters pledged allegiance to ISIS leader Abu Bakr al-Baghdadi in November and at least two other factions followed suit. Since then, ISIS supporters in Libya have claimed responsibility for a number of attacks — including the November car bombings outside of the Egyptian and U.A.E. embassies. For now, ISIS is competing for influence against the many other Islamist militant groups in Libya. The group might be able to rely on the fact that they’re more disciplined and better organized than some of their rivals, according to Firas Abi Ali, who heads Middle East and North Africa forecasting for IHS Country Risk.